PBS and member stations are No. 1 in public trust and an "excellent" use of tax dollars. PBS was also called the most fair network for news and public affairs. PBS KIDS was named the most educational TV/media brand, the safest destination for children to watch television or visit online, and the top provider of content that helps children build reading and math skills. 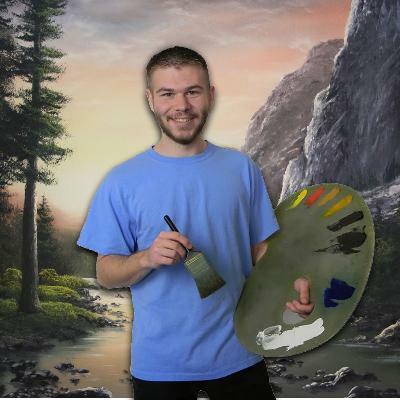 If you're a fan of Bob Ross, tune in for our newest Saturday morning craft series, "Paint With Kevin." The new program, which offers painting hobbyists step-by-step instructions for creating "wet-on-wet" oil paint landscapes and seascapes in each 30-minute episode, will premiere Saturday, April 5, at 10 a.m. The Dreamland Ballroom, the third floor of the historic Taborian Hall on West Ninth Street in downtown Little Rock, is the topic of an upcoming AETN documentary. Currently in development, producers are seeking stories and photos from the ballroom in its prime, from approximately 1930- 1960. Anyone with information about the ballroom or Little Rock's "Little Harlem" is encouraged to contact Tanisha Joe Conway, 800-662-2386, or email dreamlandballroom@aetn.org. ,p>Ken Burns' latest film, "The Address," will premiere on AETN, Tuesday, April 15, at 8 p.m. Celebrate its launch, as well as the 150th anniversary of the Gettysburg Address, by participating in a national effort to revive recitation of the speech and bring history to life. Nearly 100 Arkansans have shared their renditions so far. See their videos, and add yours to the collection, at aetn.org/ learntheaddress. AETN has a limited number of openings for two sessions of AETN Youth Academy this summer. AETN Youth Academy Production Camp for ages 12 to 16 will be held June 16-20 and is limited to 12 participants. Production Camp will immerse participants in the creative and exciting world of filmmaking, covering the filmmaking process from concept to finished film. AETN Youth Academy Around the World Camp for ages 7 to 11 will be held July 21-25. In this weeklong camp, participants will travel around the world to explore various cultures through a blend of technology learning, hands-on activities, special guests, fun and educational activities, and much more. Both camps will be held Monday through Thursday from 8:30 a.m. to 4 p.m. and Friday from 8:30 a.m. to noon. The cost of each five day camp is $149 per child, which includes instruction, t-shirt, meals and snacks. Space is limited, and registration closes May 30. Additional information is available by contacting Karen Walker at kwalker@aetn.org or 800-662-2386. "Arkansas Governor's Academic Competition: Quiz Bowl 2014"
High school students from across the state will showcase their intellect in the annual Arkansas Governor's Academic Competition in "Arkansas Quiz Bowl 2014." The competition will air live in two parts on Saturday, April 26, at 9 a.m. and 1:30 p.m.
Great Performances: "Matthew Bourne's Sleeping Beauty"
This month Chuck Dovish explores the Smith Creek Nature Preserve, Fern Gully in the Ozark National Forest, the U.S.S. Razorback and a beautiful Ozark snowfall scene near Anvil Rock, overlooking the Mulberry River northwest of Ozark. Mondays at 6:30 p.m.
Join Cyberchase pals Matt, Jackie, Inez and Digit in a brand new, 60-minute film as they work together to save the planet and the future of Cyberspace. Together the team will work to stop the effects of Hacker and his bumbling henchbots, Buzz and Delete, who carelessly set off a slime geyser in the nature preserve Ectopia. Tuesday, April 22, at 4:30 p.m.
From the jazz age to the eve of the swinging '60s, new episodes abound throughout the month of April during our Sunday night Brit block. Find your favorite nuns and nurses of Nonnatus House as they weather the winds of change on a national and personal scale in season three of "Call the Midwife" at 7 p.m. Then, step back in time with "Mr. Selfridge: Season Two" on "Masterpiece Classic" at 9 p.m. As trysts end and begin anew, war looms and careers are created and dashed, a pageant worthy of Selfridge's extravagantly themed promotions continues to unfold, with Harry and Agnes at its center. "Doc Martin: Season Five" will continue to air at 8 p.m.
April 4: "AETN Presents: On the Same Page With Rick Steves," 6:30 p.m.; "Live From Lincoln Center – James Naughton: The Songs of Randy Newman," 8 p.m.; and "Cleveland Orchestra in Performance: Bruckner," 9 p.m.
April 11: "AETN Presents: On the Front Row With Don't Stop Please," 6:30 p.m.; "Live From Lincoln Center: Jason Isbell," 8 p.m.; "LOUPE – Magnifying the Arts in Arkansas: Part 2," 9 p.m.; and "LOUPE – Magnifying the Arts in Arkansas: Part 1," 9:30 p.m.
April 18: "LOUPE – Magnifying the Arts in Arkansas: Part 2," 6:30 p.m., and "Peter Pan From the Milwaukee Ballet," 8 p.m.
April 25: "AETN Presents: On the Front Row With Runaway Planet," 6:30 p.m., and "Great Performances: Matthew Bourne's Sleeping Beauty," 8 p.m.